The world is full of spiritual destinations that can enlighten travelers, renew the spirit, and refresh the mind. …or a spiritualist destination to feel more at one with your body and soul, you’re in the right place. Why? Because the places in this article, found around the globe, are among the most healing and inspiring. While some prefer to speak, or chat, with a psychic to get relief from every-day pressures, others choose to go on a spirit-renewing trip. Psychic and spiritual vacation destinations focus on providing travelers with new perspectives, strong connections, and a greater meaning of life. 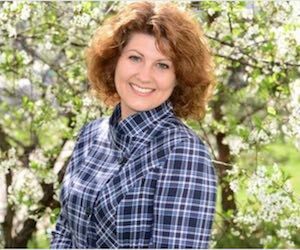 Many spiritual destinations have rich historical and religious roots that combine culture, faith, and spiritual awakening through nature, landmarks, and activity. 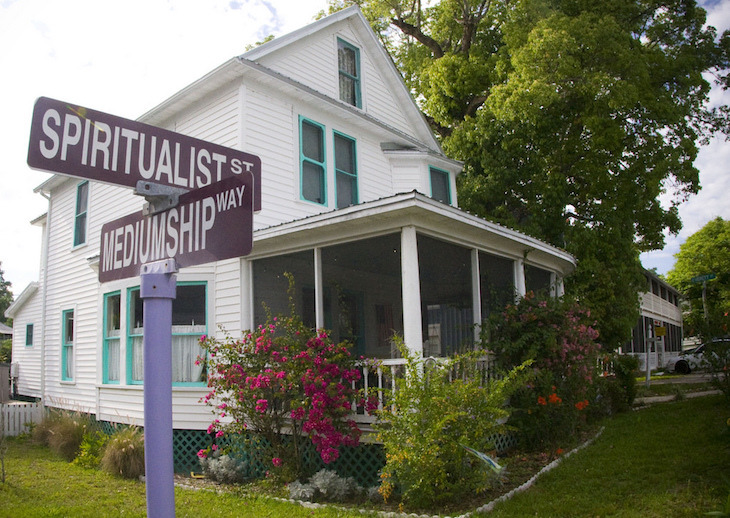 Cassadaga is a spiritualist camp known as the Psychic Capital of the World. The Florida community was founded in 1894 and is a place for those with psychic abilities or strong spiritual gifts to both live and visit. Founder, George Colby, was led by spirit guides to the area on which the community now lives. Those who visit say that, although the community looks average, there’s an eerie, yet calming presence throughout. Residents are welcoming of visitors, and many psychics and mediums share their homes for psychic readings. The community offers several types of meditation, healing, and church services, including one service that focuses on the science of spiritualism. Those who live in Cassadaga dedicate their lives to their spiritual beliefs. As a visitor, you’ll likely feel the strength in mysticism and psychic ability throughout the camp. 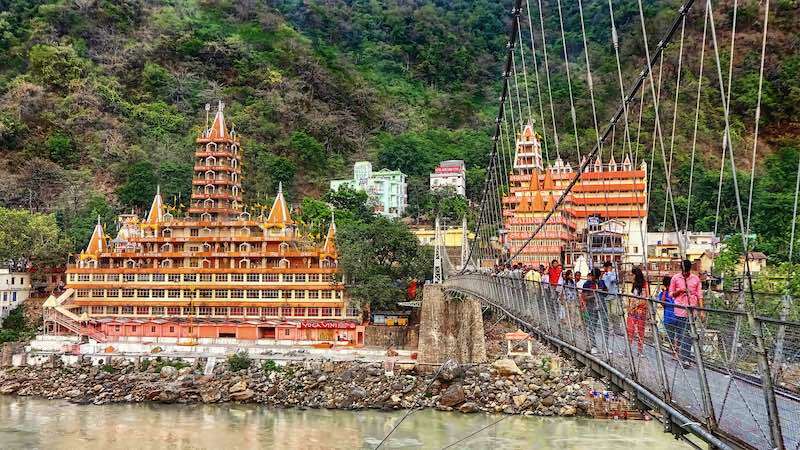 Rishikesh is a holy city that’s known for being one of the largest yoga capitals in the world. The city offers several spiritual retreats, also called ashrams, that provide meditation services, yoga classes, lectures, chants, and more. Ashrams are either luxurious or very basic, depending on the type of spiritual experience you’d prefer. Hindu culture prevails throughout Rishikesh. Travelers can experience Hinduism through traditional ceremonies with music, fire, dancing, and offerings. You can also visit the many small temples in Rishikesh in which spiritual leaders perform chants, prayers, and musical sessions. Or, become one with nature in the glorious outdoors of Rishikesh, which features hiking trails, Indian wildlife, and visits to temples with beautiful views. You may even meet monkeys and cows along the bridges and roads of the city. Lily Daly, NY is a must-see place for those who want a psychic travel experience. The town is in the northern part of the state, nestled away from much of the rest. 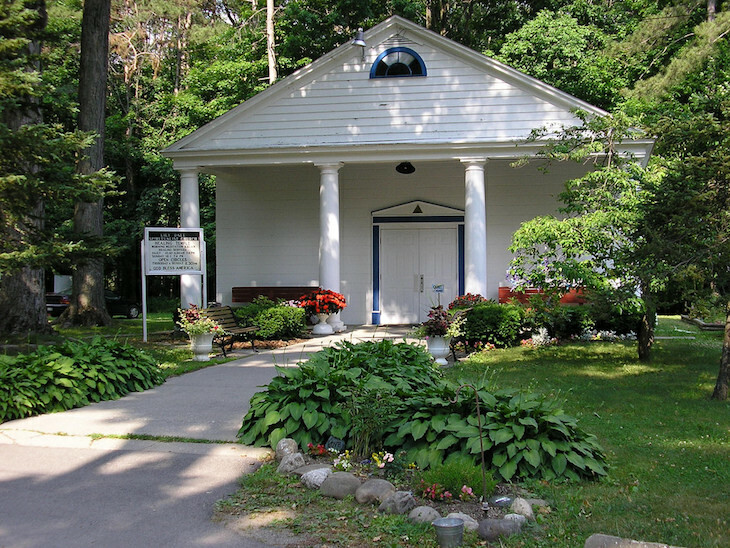 Lily Dale is much like Cassadaga in that it’s a community created with the purpose of joining like-minded spiritual thinkers to study the science and history of spirituality. Those who don’t live in the community can visit its hotels, campgrounds, and guest homes for extended stays. There are over 50 registered mediums living in Lily Dale, and many within the community revere them as having some of the best psychic abilities in the world. You can enjoy spiritual workshops and worship services or visit the various temples in the community for your spiritual connection. Every year, over 22,000 people from all over the globe visit the community to experience its healing energy. Assisi, Italy is where the renowned St. Francis of Assisi, a mogul for the Catholic religion, was born. Even before his birth, though, the town was considered a luxurious and sacred place, built around a holy spring. 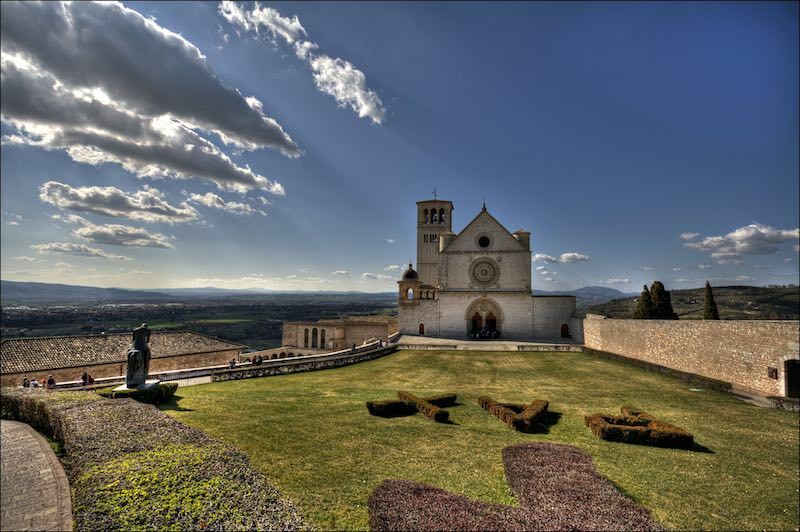 It’s long been a popular tourist destination for spiritualists who revered St. Francis to pay their respects and connect to their spiritual roots in the holy temples and places that Assisi offers. You can also experience local Italian culture through local performances or by visiting one of the Basilicas for sacred music performances. Assisi is home to several spiritual retreats, like Simple Peace, which holds meditation sessions on serene, sacred grounds, ritualistic movement sessions, and pilgrimage walks. This particular resort offers a spiritual experience for people of all religions to create an interfaith mingling for open-minded people on their spiritual journeys. Mount Shasta is an active volcano in California, but its beauty is a sight to behold. Many say that it’s more than just breathtaking; the mountain and surrounding area offers a spiritual experience like no other. Native Americans used to visit the area of Mount Shasta for fishing and enjoying its other natural resources. 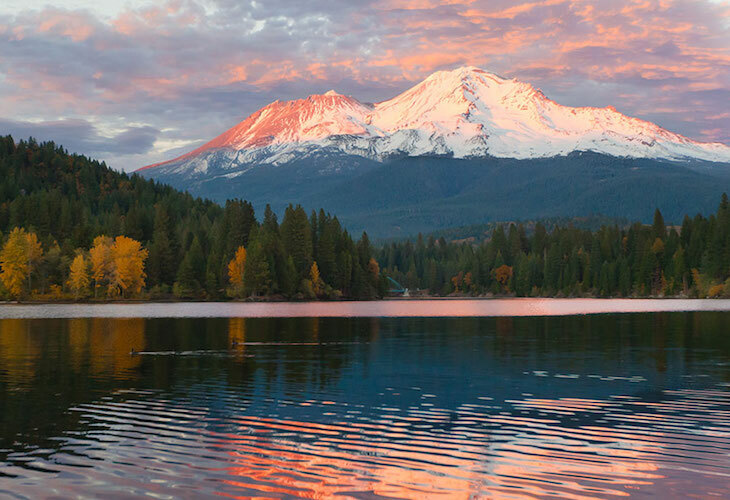 Today, Mount Shasta is one of the leading gathering spots in the world for spiritual seekers. The mountain, which reaches a peak height of over 14,000 feet, is considered by many religious communities as one of the most sacred mountains in the world. Travelers often visit and find themselves placing down roots near the area, never wanting to leave the positive energy surrounding the mountain. In the vicinity, you’ll find spiritual retreats, yoga centers, places of worship, healing centers, and more. Thailand has been described as one of the most spiritual vacation destinations on Earth. It’s difficult to pinpoint one area of Thailand as more spiritual than the rest. Inhabitants and travelers continuously describe Thailand as one of the most spiritual destinations on Earth. Here, you’ll find strong Buddhist culture wherever you go, creating peace through the environment and those who live in and travel to the country. From historical, religious temples to spiritual caves, Thailand offers spirituality that combines perfectly with adventure and history. Doi Inthanon is the highest peak in Thailand. When you reach the top, nature greets you with serene views, fresh air, and a spiritual connection you likely won’t shake anytime soon. 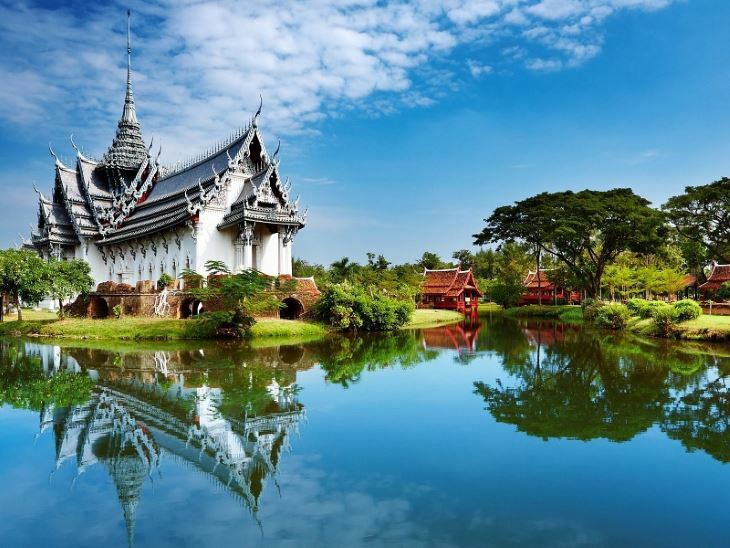 You can also visit one of many Thailand temples and shrines dedicated to magical relics and religious leaders. 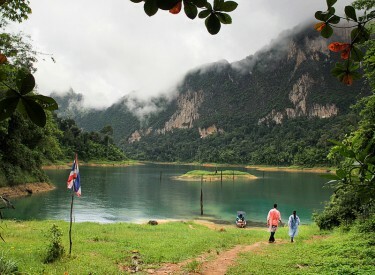 Or, find tranquility in an ancient Thailand Cave. Dragon Cave is a popular destination, known as a place for those with cancer and other ailments to seek healing. Cleanse your spirit in the waters of Varanasi; the “City of Light”. India is another country that’s known for being widely spiritual. 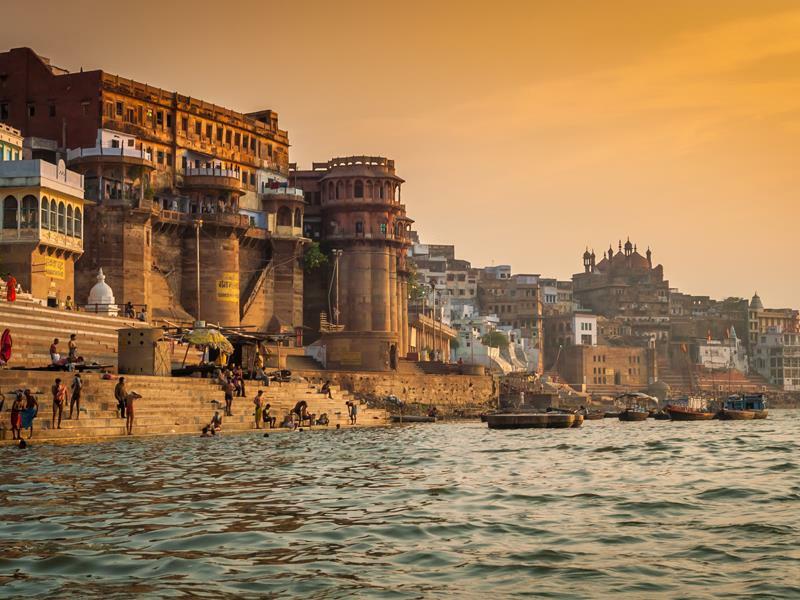 But, Varanasi tends to stick out as one of the best travel destinations for those seeking a truly peaceful, spiritually-guided getaway in India. Those who picture India often picture something like Varanasi: culture-rich, colorful, and sacred. It’s also one of the oldest cities in the world and is considered sacred by those of the Hindu religion. Those who follow the religion visit Varanasi to cremate family members near sacred palaces and temples. Even the waters of the city are considered holy, with inhabitants and foreigners coming to the area to bathe in the sacred waters. Near the waterfronts, people practice yoga, participate in meditation sessions, or listen to religious teachings and chants by leaders of Hinduism. On the western coast of Scotland lies Holy Isle, which stretches about two miles, is a Buddhist-centric destination that welcomes both Buddhists and non-Buddhists. 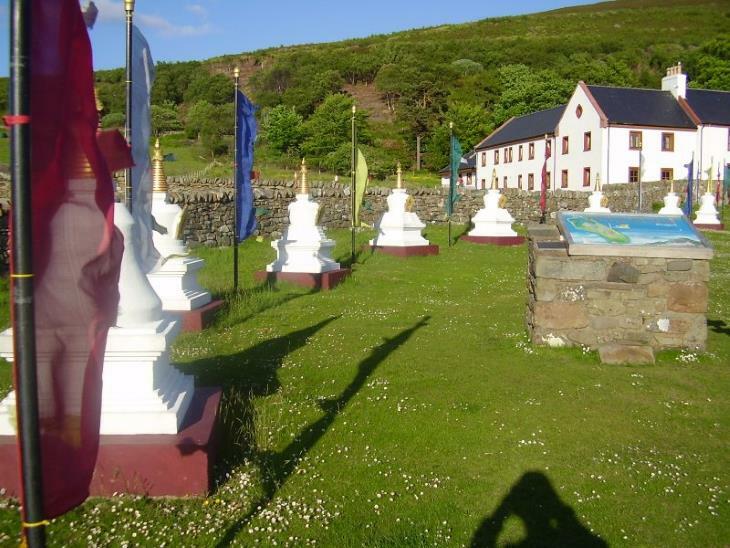 Those who vacation at the Holy Isle can partake in outdoor meditation sessions and join workshop-like experiences that can give them a deeper understanding of Buddhist meditation and religious practices. Holy Isle is located on the Isle of Arran, which boasts strong spiritual roots itself. Machrie Moor, a sacred area of the Isle, has several standing stones sites, including ancient stone circles with mysterious beginnings. Although no one knows how the stones got there, Scottish myths and legends trace them back to mythical heroes. Whatever you believe, it’s certain that the Isle of Arran is abundant with Scottish history and Buddhist spirituality. When you visit the outdoors of Sedona, Arizona, you’ll immediately feel at peace with life and a renewal of your soul, thanks to the incredible scenery. Sedona is one of the few places you can see the amazing red rocks that make up the desert-like landscape. But, people also believe that the colors in the area have healing and sensory powers that lend to creativity, spirituality, and renewal. 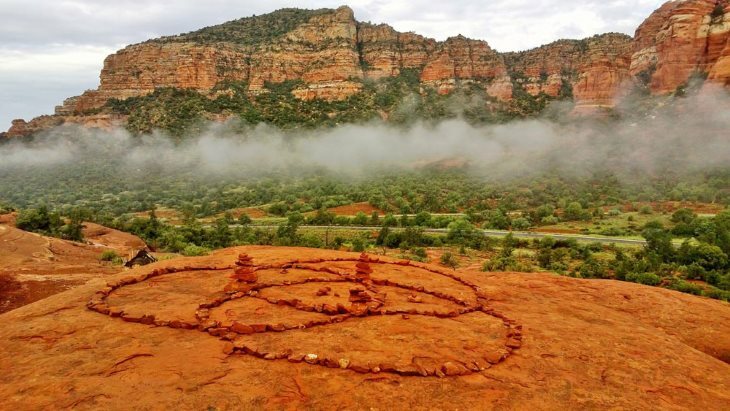 Its historical ties to Native Americans and their spirits further Sedona’s spiritualistic vibes. People travel from across the world to visit Sedona and powers of personal enrichment. You can hire a spiritual guide to welcome you to the most life-affirming destinations in Sedona, visit alternative healers that can mend your mind, body, and soul, and visit one of several meditation sites for prayer, relaxation, and personal awareness. Find healing in the tranquility of Tulum. Tulum, Mexico is not far past the party city of Cancun, but it’s much different in atmosphere and culture. Tulum has a lot of things for touring adventurists to do, but it also boasts serene, relaxing retreats and spiritual experiences. 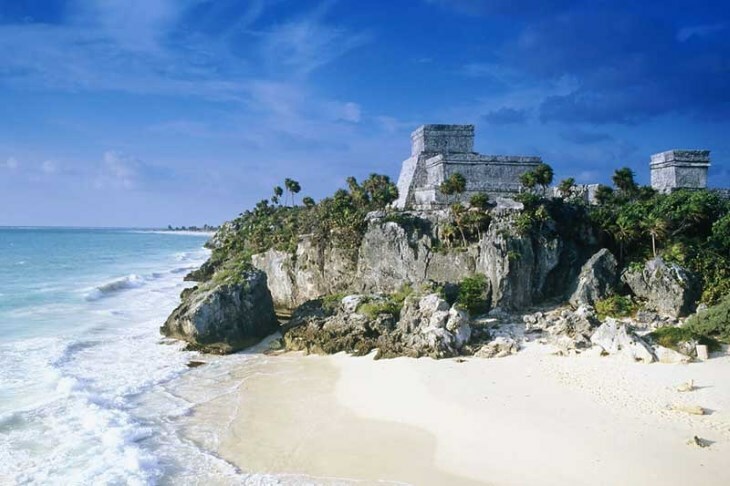 The town was once a Mayan city, and you can still visit its ancient ruins near gorgeous beaches along the Caribbean Sea. If a meditative spiritual retreat is what you’re after, check out the retreats at Rolling Meadows. The camp sits near the beach and is the perfect, tranquil spot to practice meditation, peaceful yoga, and become one with the beautiful surrounding sights. Holistika is another favorite retreat in Tulum that offers a quiet, private village for tourists who want to heal their minds and souls through yoga, dance, and steam bath therapies. France is widely recognized as a country that separates church from state. Still, Southern France is home to historical and sacred cathedrals, stone sites, and spiritual tours that transcend modern political and religious movements. Plum Village is a famous meditation center in Southwestern France that focuses on Buddhist tradition and practices. 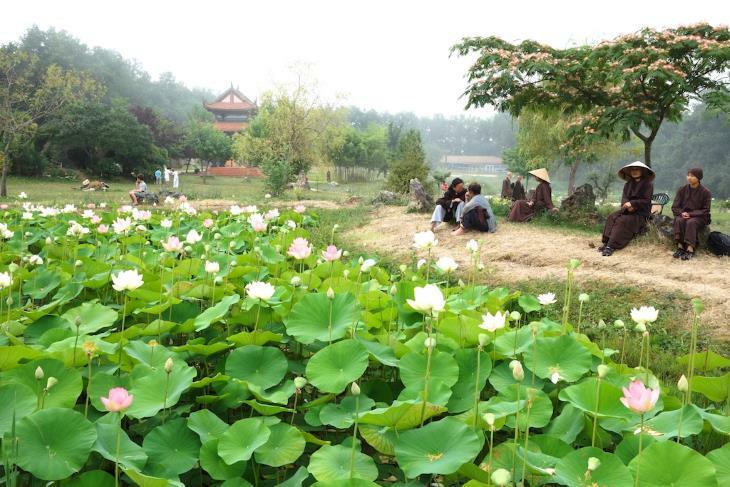 It’s the largest Buddhist monastery in Europe, preaching mindfulness in all daily activities. Visitors will experience culture, serenity, and community throughout their stay, joining to complete activities, like cooking and cleaning. They’ll also have alone time for reflection, guided walks, music sessions, and learn about the Mindfulness Trainings of Buddhism. Shikoku is known as a holy land in Japan. In fact, the island has its own pilgrimage route, known as Shikuko Henro, where pilgrims travel over 1,200 kilometers to visit 88 holy places along the road. Inhabitants of the island help pilgrims along the way by offering them food and drink. 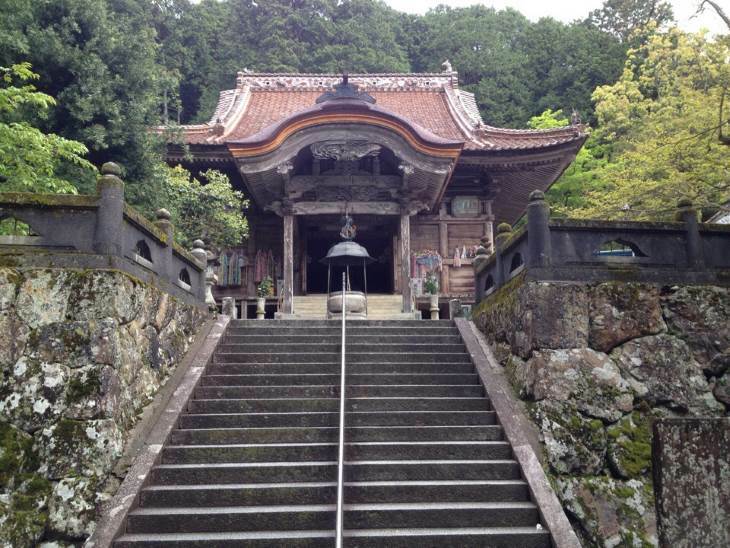 The temples and other holy places along Shikuko Henro have historical roots as being the spots where monks and other religious leaders once trained. When you visit Shikoku, you can also visit Shikoku Karst, which provides serene landscapes and the ability to connect with nature. The Forest Therapy Pass is known for its stress-relieving abilities. You can also stop by beautiful botanical gardens, like the Makino Botanical Garden, which features a sacred temple and Japanese culture through rare plant species and scenery. What Is Clairscent (Paranormal Smells) And How Does It Affect You?